Mars Bars could vanish from British shelves in a matter of weeks if the UK crashes out of the EU without a deal. Food and drink experts have warned the iconic chocolate nougat bar, as well as all confectionery imports to the country, will dramatically increase in price if the UK can't strike a deal with Brussels. At a roundtable meeting, representatives from the Food and Drink Federation told Environment secretary Michael Gove that Mars Bars could go extinct within a fortnight, according to BuzzFeed News. The experts explained to the minister that two of the ingredients used to make Mars bars are imported and only take a few days to go off. If food imports were to be barred from entering the UK via the port of Dover in the case of a hard Brexit, Mars would be unable to make their iconic chocolate bar at its factory in Slough, Berkshire. The experts told Gove the UK’s entire supply of Mars bars would run out within two weeks. 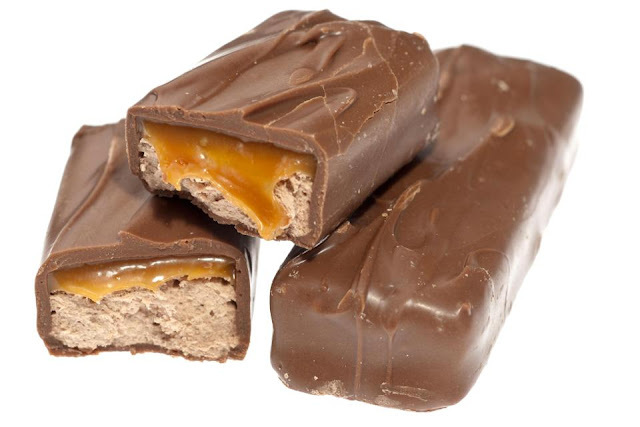 The Mars Bar is made up of 21 ingredients, but most of them are sourced within the UK. It comes after Cadbury announced it was stockpiling chocolate and biscuits in case Britain crashes out of the EU without a deal. The famous firm raised alarm that a harsh Brexit outcome could cause shortages of popular products like Dairy Milk and Picnic bars. Hubert Weber, the European boss of parent company Mondelez, said the UK was 'not self-sufficient in terms of food ingredients'.